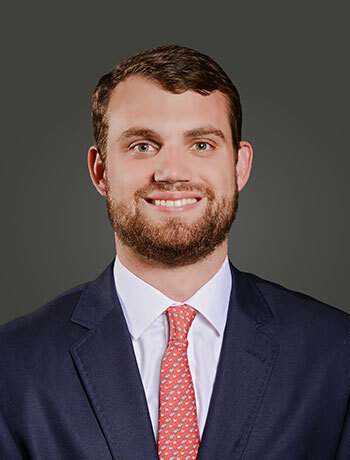 Born and raised in Baton Rouge, Louisiana, Clay attended LSU Laboratory School graduating in 2012, the following fall he began attending Louisiana State University. He earned his Bachelor’s degree in Interdisciplinary Studies in the summer of 2016. While in College he was a member of the intern program at Beau Box Commercial Real Estate, starting in 2014. While in the program he earned his real estate license in first quarter of 2016. Upon graduating from LSU, Clay became a full time practicing real estate salesman focusing mainly in 1031 tax exchanges at that time. Clay mainly handles landlord representation in retail developments, land sales and office leasing. Clay also is very well versed in tenant representation in the office, retail, and industrial markets. Through his time as an agent, Clay has worked to earn his clients trust through his diligent work to get the best deal possible on their behalf.